Insurgents have overrun a strategic airbase in Syria’s northwest after weeks of fierce fighting with regime forces. They also ratcheted up their offensive on another in a drive to reduce the air supremacy of the Damascus government. Opposition forces control much of the country's northern territory, but the Taftanaz airbase in the Idlib province is the most significant airbase they have seized. The base is northern Syria's largest field for government helicopters used for both strikes and the delivery of supplies to army regulars. Rebels in the neighboring Aleppo province also ramped up attacks on the Mannagh airbase there and the city's international airport, which is home to a military base. The two sites have been under rebel attack for weeks. 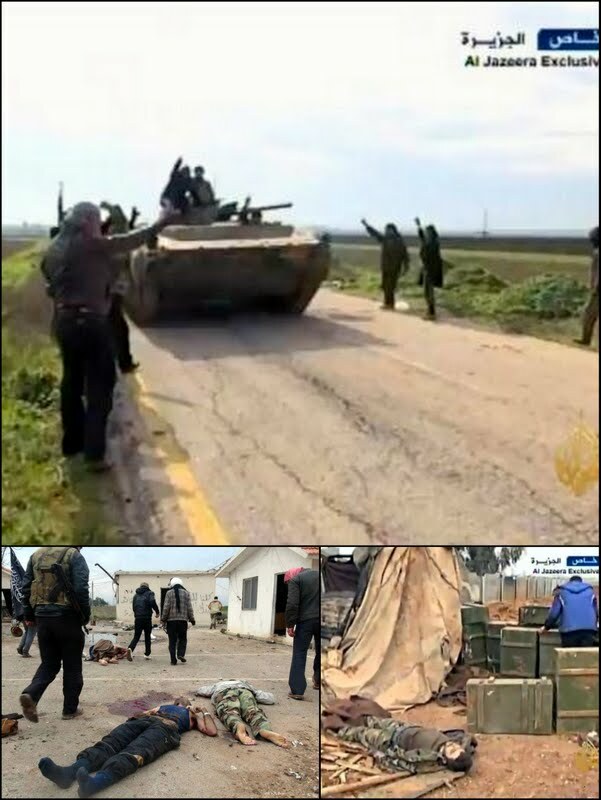 Online videos showed rebels celebrating inside Taftanaz base, alongside tanks and helicopters. Hundreds of FSA fighters and allied jihadists have besieged the base since early November. Helicopters based at the sprawling facility, which lies near the motorway between Damascus and Aleppo, have been used to bomb rebel-held areas in the north and deliver vital supplies to government forces struggling to halt rebel advances. 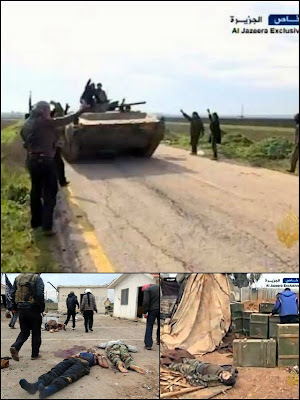 The videos posted online showed fighters driving away in captured tanks and trucks loaded with ammunition. There was no reliable figure on casualties among rebel or government forces, although the bodies of soldiers could be seen in the videos. The loss of the air base at Taftanaz would represent a serious psychological blow to government forces. It is impossible to know at this stage how many helicopters were destroyed in the fighting for the base and how many may have got away. The most important material impact upon government operations will be the loss of the base as a logistical supply centre. Many roads have been cut by the rebels or are impassable to government forces and a considerable amount of re-supply is carried out by air. The fall of the base will seriously hamper such operations. Taftanaz is home to two squadrons of Mil-8/17 Hip transport helicopters. These have also been used during the fighting as improvised ground-attack aircraft to drop barrel bombs over built-up areas. President Assad's forces in the north are very much on the defensive and it is by no means clear that they have the capacity to recapture such installations, which often, in the past, have been quickly re-taken. In January 2012, the regime first began to use artillery across Syria in large quantities. In June 2012, the regime began to consistently employ helicopter gunships. In August 2012, the regime began to employ jet aircraft in strafing and bombing campaigns. -- However, the regime has primarily employed its aircraft in a punitive and retaliatory manner rather than a tactical role. A majority of the regime’s airstrikes has been against towns and neighborhoods where the rebels have gained control, rather than on specific rebel military targets. -- The regime has only employed certain types of aircraft in 2012, and with different degrees of effectiveness. 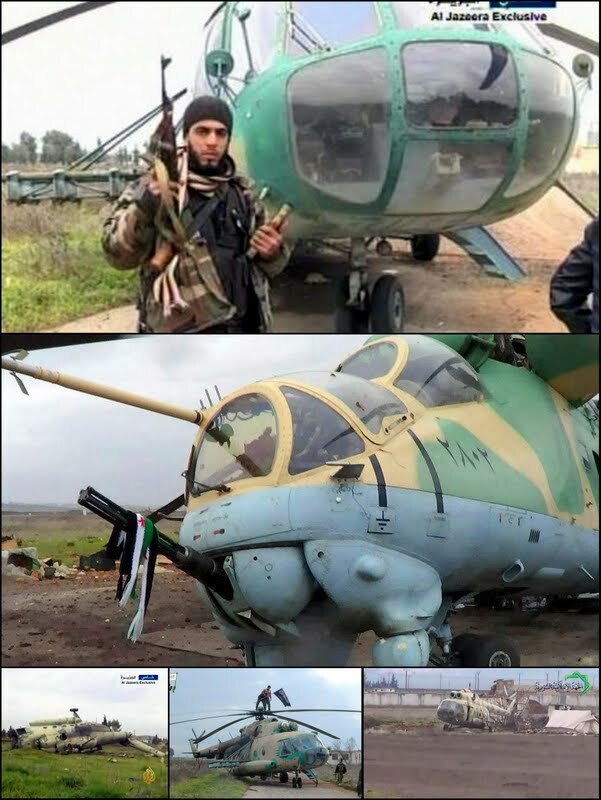 For example, their Mi-8/17 utility helicopters are ill suited for attacking ground targets, and the regime has relied on tossing improvised explosive “barrel bombs” out of these aircraft. -- Despite these high aircraft figures, it is unlikely that the Assad regime is able to employ more than 30 percent of its aircraft, based on historical maintenance issues combined with the current pace of operations. The regime is not likely to be able to employ more than 200 aircraft in its bombing campaign, or approximately 150 jets and 50 helicopters. The actual number may be lower.